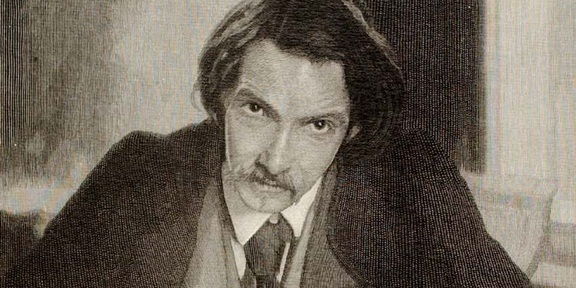 On this day in 1851, Robert Louis Stevenson was born in Edinburgh. Born in Edinburgh to Thomas Stevenson, a lighthouse engineer and Margaret Isabella. He was christened Robert Lewis Balfour Stevenson, his middle names in honour of his maternal grandfather, a Minister of the Church of Scotland. When Stevenson was 18 however, he changed the Lewis to Louis and four years later the Balfour was gone as well. The Stevenson family were not of a particularly artistic persuasion. Lighthouse design was the family business and Stevenson's paternal grandfather was the famed Scottish engineer Robert Stevenson. 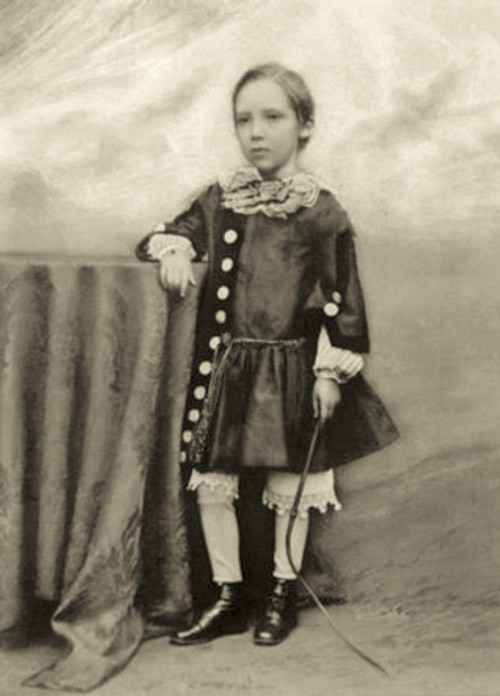 Young Robert was an only child. He had no interest in pursuing the family profession but wrote stories from an early age. He was a sickly, eccentric child, plagued with chest problems who didn't fit in at school. You can find him as a baby in the 1851 census at 8 Howard Place in Midlothion. In the 1861 census he appears as a scholar. The family have moved and his nurse, the strict Calvinist Alison Cunningham who he knew as Cummy, appears on the form as a "sewing maid". Stevenson was first published at the age of 16. He paid himself for the publication of an account of the covenanters' rebellion. By the time the 1871 census came around he had told his father that he was going to pursue a life of letters. He is listed in the 1871 census as a Student of Arts. Actually it was agreed that Stevenson would be a student of Law rather than Arts, so that he would have at least some security. He enrolled in Edinburgh University and was eventually called to the Scottish Bar. He never practised law, although his father did put up a brass plaque "R.L. Stevenson, Advocate" outside the family home. Stevenson was soon earning money from travel writing and his poetry. It was on a canoe expedition which was to form the basis for his first real book An Inland Voyage that he met the woman he would eventually marry. Fanny Van de Grift Osbourne had three children from a previous marriage. He married her in 1880. His health had got a lot worse, with constant work and travel, and he had difficulty finding somewhere to settle down. He tried various places in Scotland and the south of England with winters in France. During this period he wrote most of his best known works including Treasure Island, Kidnapped and The Strange Case of Dr Jekyll and Mr Hyde. The author Henry James was a close friend and frequent visitor during these years. Eventually he travelled to the Pacific Islands, finally finding a place where he could end his days. IN 1890 Stevenson bought around 400 acres on the island of Upolu in Samoa. There he established the village of Vailima and took the native name Tusitala, the Samoan for "teller of tales". He was much loved by the Samoans who came to him for advice and he was soon getting involved in local politics. On December 3 1894, Stevenson was talking to his wife as he strained to pull the Cork from a bottle of wine. He suddenly turned to his wife and said "What's that?" then "Does my face look strained?" He collapsed at her feet. It's thought that the cause of death, a few days later was a cerebral haemorrhage. He was only 44. The Samoans guarded his body through the night then carried him on their shoulders the next morning to Mount Vaea, where he was buried overlooking the sea. The Samoan's took his words and set them to music in their own language. They are still used as a song of grief. Stevenson's will is available to view in our New South Wales will collection. His great friend Henry James was one of the executors and it is clear how much the island meant to him as he is careful to plan for the future of both his family and his land. It is rather poignant to note that in this last will and testament he describes himself once again as Attorney rather than writer, a legal practicality perhaps but one that would have made his father proud.